News! I have some fun news. 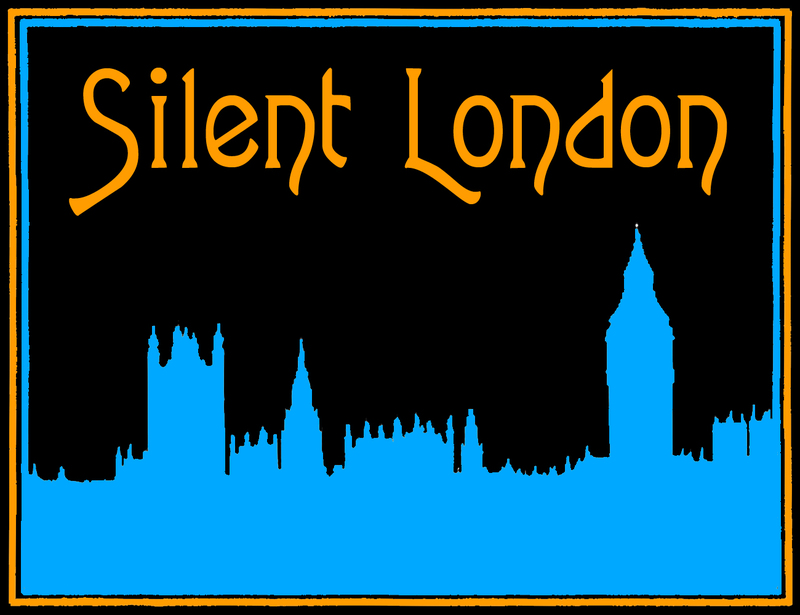 I actually thought long and hard about posting this on Silent London. My concern was: is this really something that Silent Londoners need? Then I thought, what the heck, it’s fun to share some good news when you have it, and actually you may be more interested than I think. Drumroll … I have a new book coming out! Very soon. Last year I had the delicious job of editing 30-Second Cinema, a lushly illustrated guide to film history and world cinema from Quarto, an imprint of Ivy Press. Are you an art-movie buff or a blockbuster enthusiast? Can you reel off a list of New Wave masterpieces, or are you more interested in classic Westerns? Most of us love the movies in one form or another, but very few of us have the all-round knowledge we’d like. 30-Second Cinema offers an immersion course, served up in neat, entertaining shorts. These 50 topics deal with cinema’s beginnings, with its growth as an industry, with key stars and producers, with global movements—from German Expressionism to New Hollywood—and with the movies as a business. By the time you’ve worked your way through, you’ll be able to identify the work of George Melies, define auteur theory or mumblecore in a couple of pithy phrases, and you’ll have broadened your knowledge of global cinema to embrace not only Bollywood but Nollywood, too. All in the time it takes to watch a couple of trailers. The book is divided into very many sections, within chapters, with pithy, whipsmart entries on a variety of essential movie topics, written by myself and a small team of brainy film scribes. If you don’t know the fine work of Nikki Baughan, Anton Bitel, Phil Hoad, Christina Newland and Kelli Weston already, you are missing out. The gorgeous illustrations are by the incredibly talented Nicky Ackland-Snow. It’s not an encyclopaedia – more of a guide book, pointing the novice cinephile in new directions, and curating a whistle-stop tour of the cinematic landscape. There are sections on genres, film movements (really a way to express those historical and geographical moments when a group of young filmmakers changed the rules), stars and directors. We look at the business of cinema, and offer some signposts beyond the mainstream to more esoteric and experimental areas. As I was involved, you’ll not be surprised to learn that there is a certain emphasis on the beginnings of cinema too, with a whole section devoted to how the pictures started moving in the first place. My thanks go to the brilliant writers and Nicky for her artwork, and especially to the lovely people at Quarto Press who produced this delightful hardback book, and with whom I had some fascinating back-and-forth conversations about what we would, and sadly would not be able to, include. We intended to be wide-roaming, ambitious and occasionally surprising rather than exhaustive. And we were able to fit in a lot more than the contents list suggests, as each section contains recommendations for more filmmakers and films to check out. If we can tempt a few people out of their movie ruts and towards checking out an Abbas Kiarostami or Mary Pickford film instead, we’ll be delighted. I am genuinely delighted with what we have made – the writers have done an incredible job, telling big stories in small spaces, and the book itself is very handsome. I think it would make an excellent gift for the budding cinephile in your life, someone who loves movies but wants a few suggestions for new films and ideas to explore, as well as a little more intel on film history and how the business works. I am hoping it will pop up in a few local libraries too. My local branch has several books in this series, from wine to quantum physics. What great company to be in! Here endeth the commercial break. 30-Second Cinema is published on 14 March 2019, RRP £14.99 by Quarto. It is available to pre-order now – here’s a handy link to Amazon, though as you know, many other booksellers are available. Previous PostStan & Ollie: Them thar linksNext PostLooking for a female version of Laurel and Hardy? Looks great! Well done everyone.